Spring is here! It may not feel like it but the calendar tells me it’s Spring, and somewhere there are tulips poking through the ground. Since my yard is still pretty bland I thought I would update my mantel with some bright and cheery items. 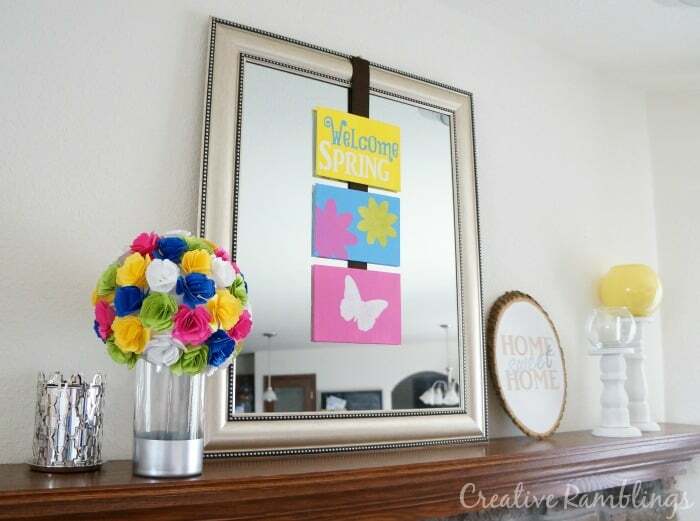 I created a simple Spring Stenciled Canvas to hang on my mantel mirror. 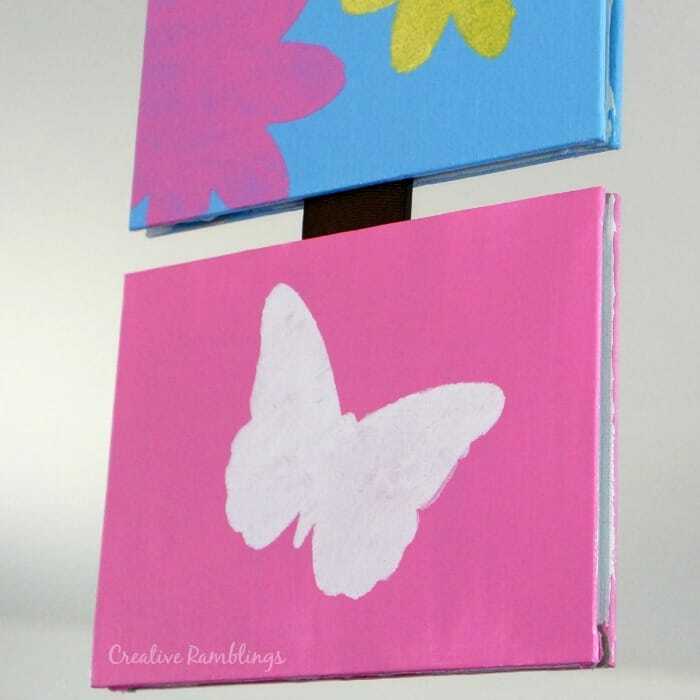 I painted the canvases first then added a butterfly and flowers using store-bought stencils. 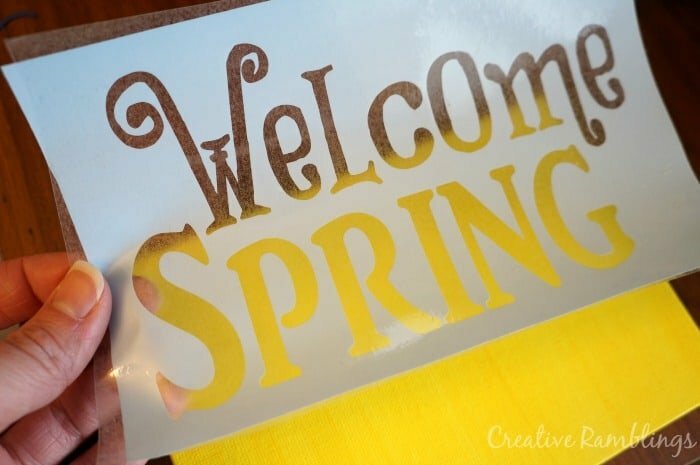 To create the Welcome Spring stencil I used my Silhouette to design the words then cut them out of Oracle 631 or removable vinyl. I waited until my paint had dried for 24 hours before applying the stencil. I weeded the vinyl then transferred it onto my canvas making sure to smooth out any bubbles. I always use ConTact paper to transfer my vinyl, it keeps everything together and peels off easily. Silhouette also makes stencil material, however I find that vinyl or contact paper work well for my projects. I attached the 3 canvases to a piece of ribbon with hot glue and hung them on my mirror. I used other pieces I already had to create a simple and bright Spring mantle. You can find tutorials for the other pieces on this mantel below. 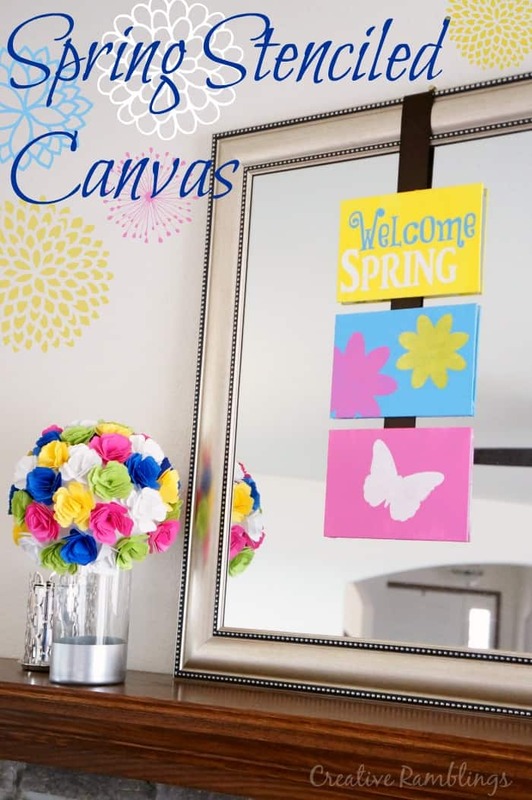 Have you decorated for spring? What do you do to warm up your home for the season?